Do anyone’s eyes with aniridia have difficulty looking side ways? 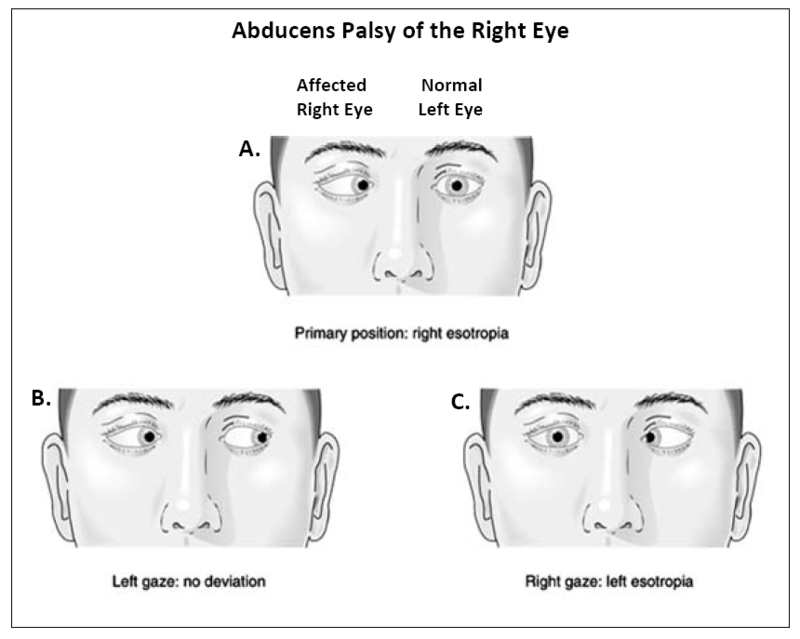 Do the eyes of anyone with aniridia not move fully to the side when looking side ways? This picture shows what she means. When looking straight forward one eye tends to turn in toward the nose. This causes mild double vision. When looking in the other direction and the affected eye has to look outwards (away from the nose) it gets stuck in the middle while the other healthy eye turns in towards the nose. This causes severe double vision. Note this is different to nystagmus where the eyes move involuntarily and strabismus where the eyes cannot align to look in the same direction. This entry was posted in National Institute for Health WAGR study, Research and tagged abducens palsy. Bookmark the permalink.